Laura Hickey, the FEE Board of Directors member who oversees the Eco-Schools programme, travelled to the United States Virgin Islands (USVI) from 13-18 May for a mentor visit to USVI National Operator Virgin Islands Conservation Society (VICS). Traditionally, the purpose of mentor visits is to offer guidance and assistance to new member organisations as they develop the FEE programmes at the national level and evolve towards full FEE membership. In addition to the mentor visit, one of the goals of the trip was to advance the establishment of the Eco-Schools programme in USVI, where the Blue Flag programme has been operating successfully for years. Laura was also able to witness some of the damage caused by the devastating 2017 hurricane season and the inspiring recovery efforts taking place on the islands. Laura's first stop on her trip was the beautiful island of St. Thomas, home to the country's capital and nearly half of its population. She was met by Valerie Peters, the Blue Flag and Eco-Schools coordinator from VICS, who would be her guide during her time in the islands. One of the first stops was Coral World Ocean Park, whose mission is to ensure that the young people of St. Thomas understand and appreciate the island's marine life. The park's owners are among the advocates for the Eco-Schools programme in USVI. Laura also met with many other supporters of Eco-Schools on St. Thomas, including state senators, representatives from the public school system, and local environmental activists. It was encouraging to see such enthusiastic support for the Eco-Schools programme from so many various stakeholders on the island. Of course, Valerie also arranged for Laura to visit some of the local schools on St. Thomas. First were two elementary schools, Bowsky Elementary and Lockhart Elementary, where enironmental education initiatives are already underway. 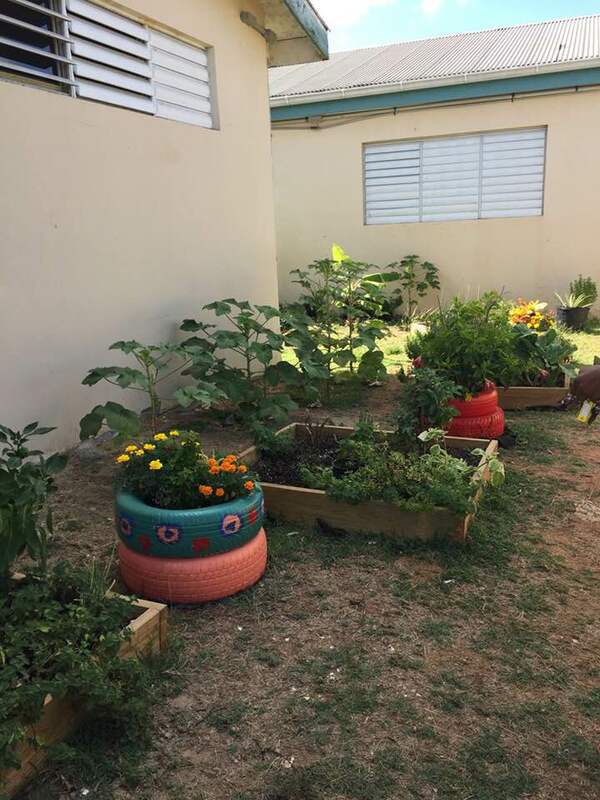 The schools have several garden plots and raised garden beds in place (although Lockhart's were badly damaged by the hurricanes), with plans to develop many more outdoor learning centers in the near future. Next was Charlotte-Amalie High School, the largest high school on St. Thomas. The high school has already registered as an Eco-School, and the school's leadership is planning to hold a professional development session for the school's teachers before the end of the term. As part of her mentor visit, Laura also visited several Blue Flag sites on the island. Unfortunately, many of the Blue Flag sites suffered substantial damage during the hurricanes last year, and none will be ready for the 2018 Blue Flag season. Recovery efforts are underway, however, and many sites are hopeful that they will be ready to re-apply for the Blue Flag in 2019. From St. Thomas, Laura and Valerie travelled to St. Croix, which is the largest island in USVI. They again had many productive meetings with prominent local stakeholders and proponents of Eco-Schools on the island. 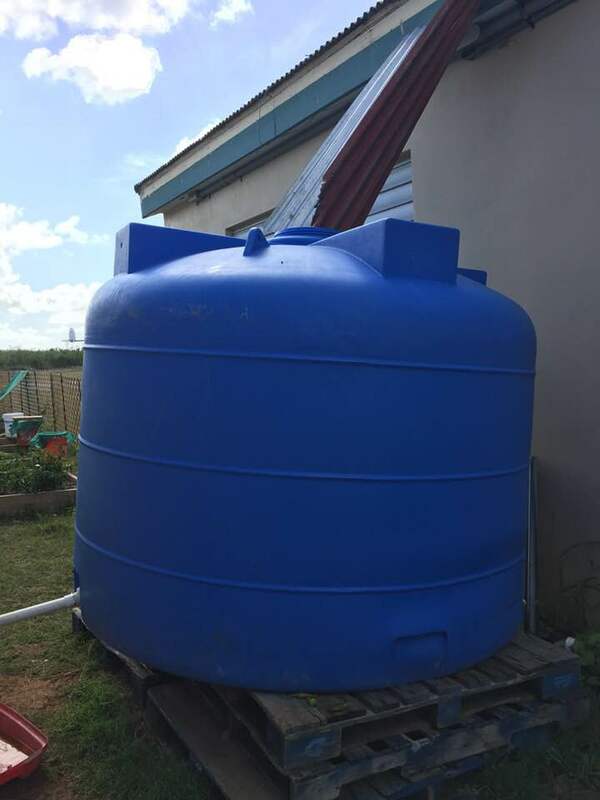 There is enthusiastic support for Eco-Schools on St. Croix, and many individuals and organisations are willing to work towards making the programme a success. Laura and Valerie also toured the local botanical gardens and visited several Blue Flag sites on the island. The schools that Laura and Valerie visited on St. Croix were truly impressive. 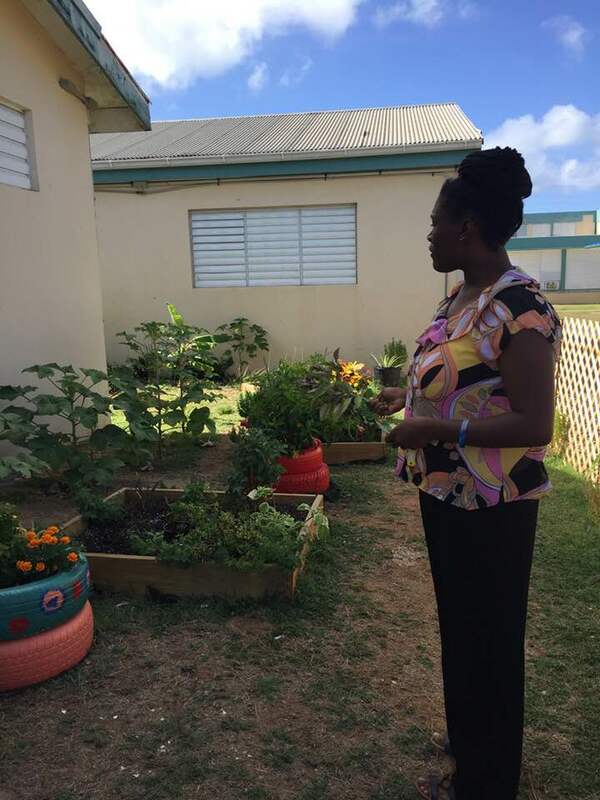 First was Claude O. Markoe Elementary, where the general science educator Ms. Tysha St. Jules has already implemented an extensive outdoor gardening education project. 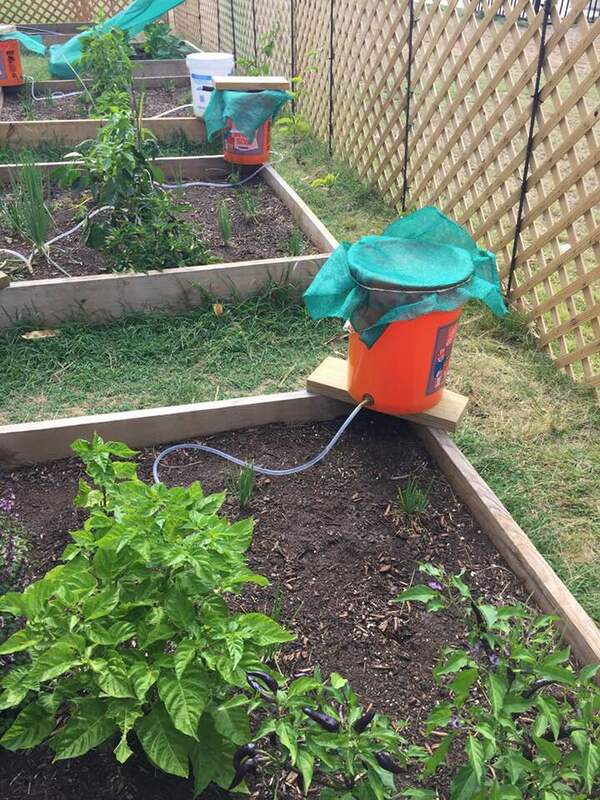 The students write daily journal observations about the garden and even make their own natural pesticides using cayenne pepper, dish soap, and water. 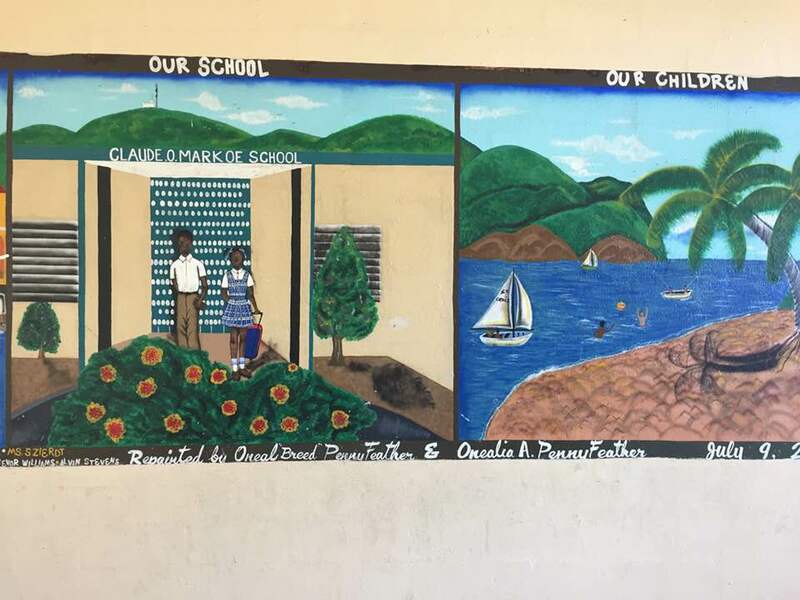 Claude O. Maroke Elementary is now the first school in USVI to receive the Eco-Schools bronze award! Inspired by Claude O. Maroke Elementary's success, several other elementary schools in the district have expressed interest in Eco-Schools. Laura and Valerie also visited the St. Croix Career and Technical Center and an alternative education site for at-risk youth. Both saw the potential value in adapting the Eco-Schools programme to their own educational needs. In September 2017, USVI, along with many of its neighbours in the Caribbean, was hit by two successive category five hurricanes. Hurricanes Irma and Maria left a significant mark on the islands from which they are still working to recover. A third of the country's 103,000 residents have applied for recovery assistance from FEMA and other government agencies. Extensive damage was done to USVI's infrastructure, vegetation, and beautiful beaches and marinas. Of the 32 public K-12 schools on the islands, eight were either completely destroyed by the hurricanes or damaged to the point that they had to be torn down. Students are now forced to share school buildings and attend classes in shifts until new schools can be constructed. Still, there are reasons for optimism. Most residents have had power restored to their homes, and people are beginning to look forward to life returning to how it was before the storms. 29% of the public schools in USVI have already registered for the Eco-Schools programme, and it is expected that by fall 2018 that number will jump to 40-50%. USVI's youth will be the next stewards of the islands, and the Eco-Schools programme will play a part in ensuring that the future is in good hands.